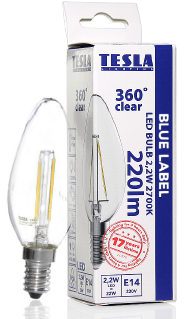 By positioning the LED chips on rods – made ​​of synthetic sapphire – the glasbulb lights exactly like the classic light bulbs. 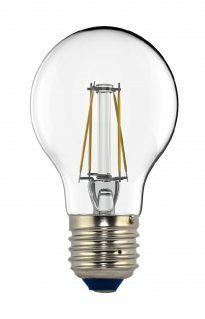 Thus a true LED replacement even in complex design projects. 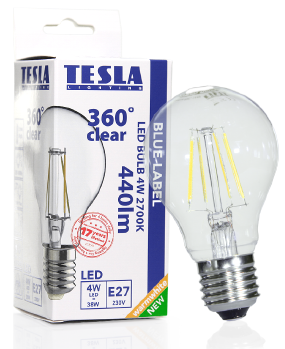 Very high LED efficiency with up to 90% energy saving. 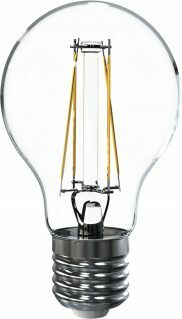 Crystal Retro LED 4W ≈ 40W or 6,5W ≈ 63W classic light bulb. Glass cover.